What is the largest grain 45 bullet you can load into this rifle? Are there length limitations on the bullet? can the tank be rapidly removed and a new tank installed on the go? What is the velocity of a 28 grain .22 .cal shot from the Hercules Bully? Does any one have the velocity for a 28 grain .22 .cal shot from Hercules bully? Anything can be made, but there is nothing presently made by Hatsan for that. I just now got this from Hatsan, Turkey: Both the Hercules and Bully in .45 caliber do NOT have choked barrels, and have an ID of .454. So, if it's a .454 slug, and it will fit in a 16 mm magazine, it will shoot it just fine. Way to go Hatsan. Is the Air tank removable for a spare to be carried in full condition? Does anybody know the .22cal grain weight used for max. Velocity 1300 fps? Can the barrel of a .25 fit in the .22 rifle and will it work, the accuracy? What is the actual caliber of this rifle, ie .450, .454, .457....? Anyone have instructions or video on how to adjust the trigger? The DonnyFL Emperor is the best LDC for the Bully in my opinion, It took mine from a loud 5 to a 1 on the loudness scale. The rifle comes fully shrouded. That said, a quick google search would probably give you a few options. Donny in FL is the popular choice these days. What is the fill pressure ? 250 BAR? What clip does this use? Same as the Hercules? 250 BAR max, same mags as the standard Herc. 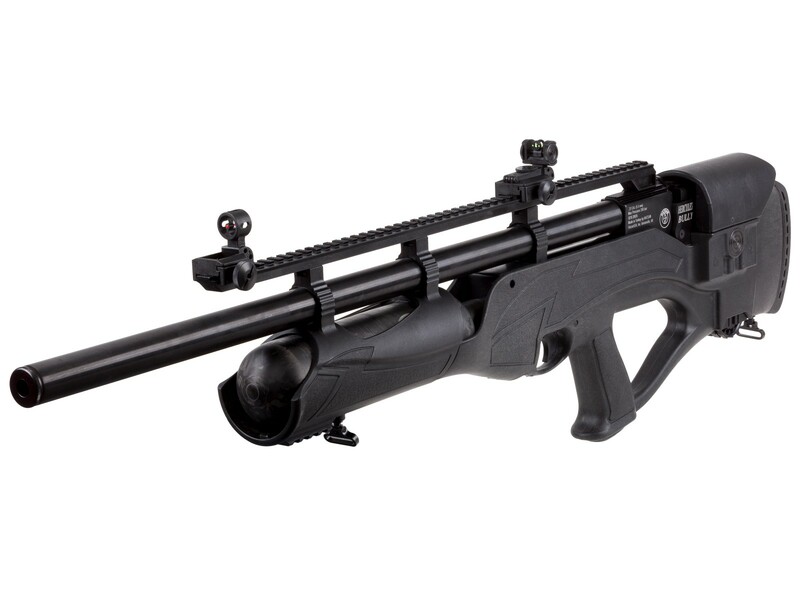 Has anyone shot the Hatsan Hercules Bully PCP? Is it really that loud...4-Medium-High? Doesnt it have a QuietEnergy fully shrouded sound moderator?